The number of independent theatre owners is growing. This is because when done properly, theater business can be a lucrative source of income. Aside from the money you’ll be earning, you also get to enjoy catering to your own niche crowd that shares the same interest in the type of films you love. Cinema malls are grouped according to the type of movie they feature. 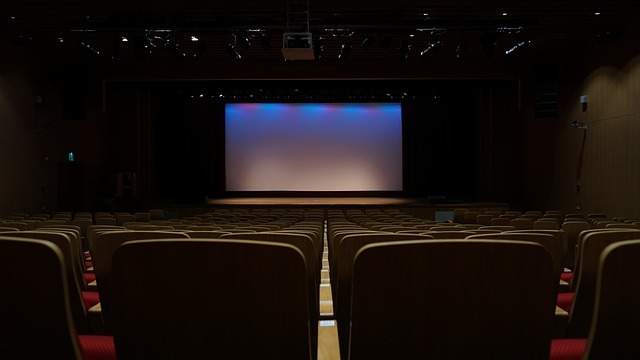 Movie theaters that run mainstream films from big film companies and distributors coinciding with the release date are deemed as first-run theaters. Second run theaters on the other hand, as the name implies, feature movies that have already been shown in first run theaters. Ticket prices for theaters that fall under this category are much cheaper. Then there the Art House theater otherwise known as the repertory theater. This category typically features alternative art films, independent films, or second run classic films. If you are interested in opening your own movie theater, the first thing you should do is understand the nature of this type of business. There are several resources that can provide you with valuable startup information. Encyclopedia of Exhibition authored by the National Association of Theater Owners (NATO). This group also maintains a website where pertinent and useful information about the industry is delineated. Examples of such are box office statistics, equipment suppliers, index of concessionaires, theater employment and more can be found. The Movie Business Book by Jason Squire tackles a wide variety of topics and can be used as a reference handbook. Don’t worry about competing with the big players. Your selling point will come from your facility to cater to a niche crowd. Getting the rights to show first run movies can be a bit of a challenge, not to mention pricey! What sets independent theater owners apart is the specialty films they feature. You can choose to show films from a variety of genres or show art films, independent films etc. The key is to choose the type of movies that you are interested in and familiar with. But at the same time, you also need to meet the preference of your target market. These two steps should go hand in hand. As an independent theater owner, you can afford to be different and not conform to how the big players run their movie theaters. For example, you may replace the typical row seats found in theaters and use tables and chairs instead. This will give your patrons a cozier environment to enjoy the cinema. As a way to entice moviegoers, you can provide discounts to big groups of people. This is usually is the case when they gather for a corporate event or for a party. In ticket pricing, you may offer discount rates during off-peak hours and/or days. (Trivia: It is said that Tuesday is the slowest day of the week as far the movie business is concerned.) You can also offer discounts to students and senior citizens. Still another option is presenting your customers with movie passes that allows unlimited entrance. Knowing the secrets on how to become a movie star will actually help a lot those who aspire to be in a limelight in achieving their dreams. Do you know how to start a drive-in movie theater? It requires a hefty capital and adequate knowledge. With a solid plan, you can go a long way. Hi i am a 11 year old girl in 5th grade. No i am not really starting a moive theater but in school we are doing a project on how to run your own business. and i chose a theater. 'cause i just live watching movies. your website helped me a lot. Very informative article. I'd love to start up a movie theather that shows classic films, but I am afraid of the costs of the rights to re-show these movies on a big screen. wow do I know you hannah? well anyway, I have the same reason as hannah (I think she's the hannah in my class...) and it really helped me. Thank you! I think that would be illegal, even in Afghanistan... Well.... Maybe not. But either way it's morally wrong to not pay the creators of a film their rightful due. carlos and matt: it would be illegal, I'm almost certain even in Afghanistan. even if it isn't corporate lawyers (and they have more than you) would find a way to screw you. I had a similar idea, i'm remiss to share it... but don't charge for tickets, it's a way to boost sales. of course the entire business couldn't be built on that, more of a promo tool. I think this article is a little simplistic because independent theaters are shutting down all the time. The big chains get all the first-run movies and by the time you get them as a second-run feature, they've had all the profit drained from them. Independent movies attract a high-brow clientele, but without marketing, no one will show up to see them. The theater business is actually the food business, but that's where all the profit is made, so theater managers are better off if they have a food background than if they're simply fans of movies. Nice to here that there is still people wanting to run or own theaters. My self of course I tried and my success was not as grand as I wanted it to be. For starters try to find an existing theater to run or own building and buying you looking at (from my own personal experience) 1.3 million. That's from the land to the building and the equipment at new prices. Now you may think that you would earn that back in no time but with taxes, mortgagee payment, equipment rental, and movie rental fees you looking and some odd thousands of dollars a month. Now since I looked over and research every thing I could my business still sank small town not enough revenue. Since all of my stuff was less than a year old new I sold every thing for most of the cost that is was bought for. The building I took a hit on until I started an auction house in it made my money back to pay my cost off and sold the building. I came out of all of the with the fine point of location, location, location. I now live in the city and trying to start another business in Indoor rock climbing. I am still dealing with the city and finding the right building and location is no problem I have plenty of option in a big city. Just remember all starting what you love as a hobby is great in all but if you do not know all the in and out of placement of your business then you probably not going to succeed. I want to open a theater to show only christian movies. They must be Spanish spoken or subtitled in this language. Where can I find these films? I am a 30 year old male from India. Working as a software Engg but now I'd love to start a movie theater that shows Indian movies. what i'd want to know is where i can get financial assistance for this little business. please contact me at jadhavdilips@gmail.com Thanks, Dilip. I would like any info on how to start a theatre in a small rural town. my idea is to start very small, and grow from there. Playing current DVD's, but having a large screen and a social exerience. Any advice would be great and possible income from ticket sales and food in a town with population of 4k. yeah i been thinking of opening a small independent theater, i currently am going to school for engineering, but i love movies and independent movies are one of my interests. here in houston there are some independent theater and its something that is a need. I saw your article is interesting and thus I am also interested in starting a Movie Theater in a small town in Zimbabwe and need information on how I could do it and start a progressive Movie Theater. I have the passion into doing it but I lake adequate knowledge on how to start it since there is no one in the area offering such kind of business. I will be pleased by your cooperation. yes your article is informative, but my problem is that i wan to know how i can open the movie theatre and what legal process i need to follow from licence to taking right of showing the movie, could you please explain it. I am interested in getting more information on how to start my own dollar movie theatre. Information such as possible financial assistance, start-up does and don'ts, legal process and licenses needed will be very helpful. Thanks in advance. Well, it is certainly inspiring, to see that there are so many folks out there that share the same aspirations & Loves as me. I am currently seeking out info in starting my own Art/First run theater out here in Laredo, Tx. A few of the possibilities that I have considered to aid in obtaining a profit are as follows: 1st I am not sure if any of ya'll have ever been to the alamo draft house in Austin, Tx. But it is really great they feature both 2nd Run films, First run films, as well as indies. At times they have also put on live theater events as well. This idea helps them to appeal to all types of Markets. (Apparently it is something that has proven successful for the owners because there are several Alamo Draft Houses in Austin). 2nd, although they do offer the traditional options of popcorn, candies & Sodas, They also offer other types of food. Here's how it goes. First you purchase your ticket from the box office, Next you arrive at your chosen showroom/screenroom, Then, you are seated and greeted by a waiter or two who ask for your choice of beverage, appetizer & meal. I.e. burgers, wings, pizzas, nachos, icecream, etc... Beverages include items such as: Domestic Beer, Import beer, wines, mixed spirits, as well as non alcoholic bevs. for the kiddos. in the event that you need to order something else during the course of your movie, then you are provided with a small sheet of paper and a pen on which to write down what you need. Lastly, during the last 30 min. of your movie, you are provided the bill for your concessions much as one would come to expect from dining out at a restaurant. My Third observation that I noted, was that at times though they do offer movie camps during the summers, as well as other packages, they also did offer classes such as acting classes, screen writing classes, film and production workshops etc... Although, I am not exactly sure as to how they go about doing this, I do hypothesize that the teachers would have to be deemed credible, and that these teachers would probably have to rent the show room/ stage room from the theater and then charge their own prices for the classes. At least that is how I might go about such an endeavor. Any how the combination of such ideas under one roof simultaneously should most likely result in profits. And with Laredo having a population of 300 plus thousand it ought to make for quite an idea. My thing is though where do I go about finding investors? HELP? Has anyone figured the legal aspects of screening DVDs for profit? Naturally, it'd be illegal to do it without some sort of agreement in place. But what about specifics? I am so aspired on the information i got, i want really want more information on financial aspect, the amount it will cost me to startup this business. Who could I contact to rent movies for a small theater? Who can I purchase the necessary equipment for the theater? Your help will be greatly appreciated. I am interested in opening a drive-in theater. I need information on where to start. We would need to start with second-run movies. Any help you can give me would be greatly appreciated. Your site was very informative. I am interested in opening an outdoor old classical movie theater, like Family Classics, Shirley Temple, Robin Hood, etc... Who or where can I purchase the movies and equipment from. We are starting a driving range and mini golf with an indoor arcade and wanted to add a movie theater with this business. After starting a movie theater, who knows how does one go about purchasing film rights and what is the cost? Can you please pass along the info you have given others for starting an art house theater? And any help on finding film distributors would also be appreciated. Hello, I'm interested in starting a movie theater in my city. If anyone has any information please drop me a line. Hi, at first glance, this site has been helpful, but i would really like to have more and detailed information about opening a movie theater. if anyone can help, i would greatly appreciate it. hi, my name is vukile, i live in south africa. i want to open a movie theater but now i don't know where to start can you tell the things i must do. Hi, I would like more information on how to rent the movies to show in a theater, where you obtain them from and prices. Thanks. Hello, I am looking to open a movie theater in a small area but the area is steadily growing. People in the area have to drive at least 30 mins to 45 mins to a movie theater. If anyone could give me some advice in figuring this out, please send me an e-mail and let me know where I can start. Looking forward to hearing from someone. Hey everyone, if you are looking for any help or need some tips feel free to email me at morrison.del@gmail.com, Me and my Team are currently gathering funds and information on opening a Arts theater in BC, And have learned quite a bit of useful information, Your biggest cost is seating, considering when a place shuts down everything of value is taken (in some cases the sink's Taps)Anyways its all about gathering costs, and figuring out if your inflow of cash is gonna be = or greater than your expenses. I live in jamaica and where i live there is no theaters at the moment. i would love to start my own chain of theaters and i would really love if you sent me all the info for building a business like this from the ground up. I am interested in knowing what it would take to start a theater up in Barrow, Alaska. A small village of about 4 or 5 thousand people. it would sure turn a lot of the kids around from getting into trouble at an early age. a second run theater would sure do good up here. i appreciate any and all replies. Hello everyone! I am currently a high school senior with no idea what I want to do. Movies are my passion, but I can't get into the actual production of them if I want to live in my home state of Ohio. That's why I am interested in starting my own theater. However, I'm not sure if I can afford it.. This site was rather helpful though. Thanks. This article is interesting, but it makes it sound easy. As I've noticed in some comments, location is of great importance. 2nd run theaters are failing everywhere. I currently manage one and my employees as well as myself receive below minimum wage. The films (which can be ordered from deluxe film services among others depending on the film you want) cost hundreds to rent, especially if they are closer to the original release date. If you are starting the theatre from scratch, your screen can be anywhere from half a million on up, and projector and sound equipment in the thousands. You will generally charge a lower price for tickets and concessions to receive a reliable stream of customers. This stretches your budget more. Electricity costs are high, heating is huge for such a large theater, and wages for your employees. I am not discouraging anyone from doing this. I myself would love to own a theatre, or even chain of theatres. However the realities of it make it very daunting indeed. Hi! I am really interested in opening a movie theater where I live. I think it would be very interesting to open a theater in my home town that has a particular viewers interest in mind. People are always looking for a place to go and enjoy themselves where I live. So please help me in my quest. I need to know where to get supplies and further information in the movie industry. I am really serious but I don't know where to start. hey there friends!! this is really helpful information but i'd like to know more about how much it would cost to start a small one and exactly how do i start it in a more detailed way? im just curious cause i'm a 18 yr planning to start my own small movie theatre business sometime in the future. if it all goes well then i will make it grow. but for now i need to gather more resources and information as to how. but anyway thanks for the information.. I work for a chain of theaters right now. If anyone has any other questions not in the article, drop me a line, I'd be happy to help! Our community of 3,000 needs something. We have a potential venue for a movie house. I really have no idea how to start, who to contact, etc. Can anyone help me? Thanks. I would like to open a movie theater in San Diego but I don't know where to start and where to get the film. Also, do I need to find an existing place or start from scratch? Please advice. Thanks so much. I want to start a small theater with tables and chairs, targeting family-teen-kids. I dont want first run movies. Who do i contact to get these movies and show them legally. Hi, I'm looking to start a theater and want to know about first run movies. What are the costs to be able to show and who do I contact in-order to obtain first run movies. I am in South Africa and would like to start a chain of movie theaters in small towns kindly advice, where do I start? I am an individual from Tumahole Parys in the Free State and i would like to start my own Movie Theater. I would appreciate your advice, Where do I Start? If anyone needs a NAME for their movie theaters I would like to suggest MovieCEO. I own MovieCEO.com and I am willing to sell it for $1000 or best offer. Thanks! Hi. I live in south africa. In a town called chatsworth. I had worked in the local movie house here until it had closed down about 4 years ago now. The movies were a real help line for people to escape into now ever since it had closed down the town people have no other form of recreation. i understand how to run a movie theater and all the costs it entails. the thing is i need to start from scratch and was hoping on first starting an outdoor cinema. it would be a great help to the community. i am passionate about it. i would really like some advice on how i can start an outdoor cinema. thank you. facebook me nishaan juguth. I have read this information carefully. This is interrogatory useful. I want to start my own movie theater(single screen theater in Pune), it's my desire. That is why i need your help, so please give me a all startup information about theater, financial assistance and your own valuable ideas, Thank you. Sunrise Center, Zanesville, Ohio. In my town this was a second run movie theater. For a short time it did better than the first run, first run didn't like it. Now money is tight and you can stay home and see a wide screen tv. I believe the movie entertainment could use a new coat of paint on an old house. I have some new ideas that could shake it up! I believe there could be something for everyone, with a cheaper way to manage things. I would love to bring it back to life. so many questions and not even close to enough answers. Licensing is the most important thing and the most difficult. It varies on where you live. Dont worry about buildings, equipment marketing, printing, advertising a "feel"... unless you want to "go broke" work out numbers and details in theory at first and dont buy anything until you have sufficient supporting data that would indicate success possibility. source general small business resources in your community: chamber of commerce etc. Hi! My friends and I am thinking of putting up a private movie house. Can you help me? What are the necessary steps, etc? I'm from the Philippines. My email address is georgiajoy.gabriel@gmail.com. Thanks! Hi i live in Johannisburg South Africa i would like to start a cinema. i would like to find out where i get licensed, where i get movies. in short what are the necessary steps? Many thanks. I would imagine it might be helpful to actually work (even just part-time) for a theater for awhile to kind of learn as much of the business as you can first. That and taking business classes. Interested to start a movie theatre in port blair, Andamans, since there are none, pl mail the total cost for a 200 seater, Need also start up valuable information, ready to pay consulting charges. I like to start with low profile showing retro movies would like to know what type of licensing plus cost estimate and where to apply. Thank You. Hi I live in Kingston, Jamaica, West Indies and I am interested in opening a movie theater with at least 2 cinemas. I would like to get some idea of how much money I would need for startup including the equipment costs and what not. Could you aid me in this regard? Hello, I have lived in Cincinnati, Ohio 45231 since 1966, I have always loved watching movies and was wondering about zoning, city permission, township concerns, before purchasing the property. Afterward where to purchasing the equipment (Reels, screens, etc) or would a huge Big Screen TV or two work? hie i live in masvingo town of Zimbabwe. i want to start a movie business so i need information on how i can engage distributors so that i can show the movies legally. i think in my case it would be easier and cheaper for me to run a second run theater. may you please help. i would be grateful if you can link me to distributors close to zimbabwe or in zimbabwe. Hi i'm Penny from South Africa, KZN, Newcastle. I want to start a movie theater in my hometown and i want 2 know the estimation of starting a movie theater from construction to the opening day! Please help i really need yo help on the step-to-step guide to starting my own movie theater. I want my theater to be a first runner theater.